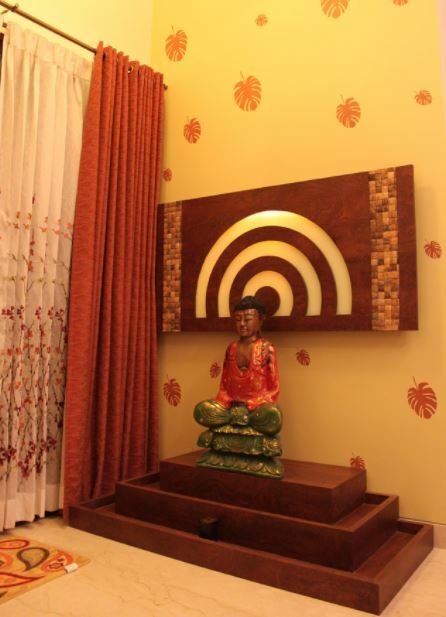 Check out these simple ideas to create beautiful pooja room designs. 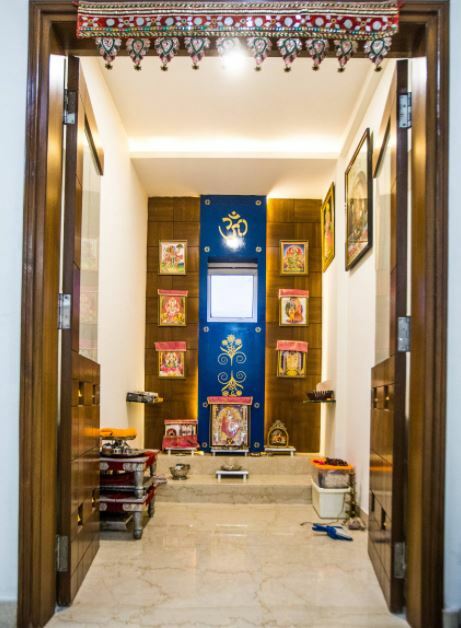 Pooja room is a divine space where you keep your deities and offer prayer to them. It is also a place to sit and meditate. 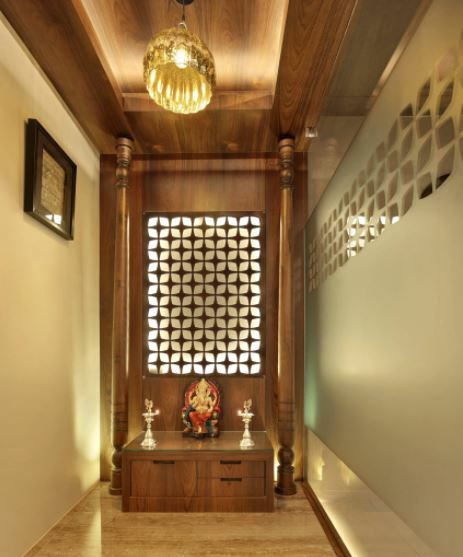 A beautifully done pooja room can help in having a calming effect on you and make you feel happy, relaxed and at peace. 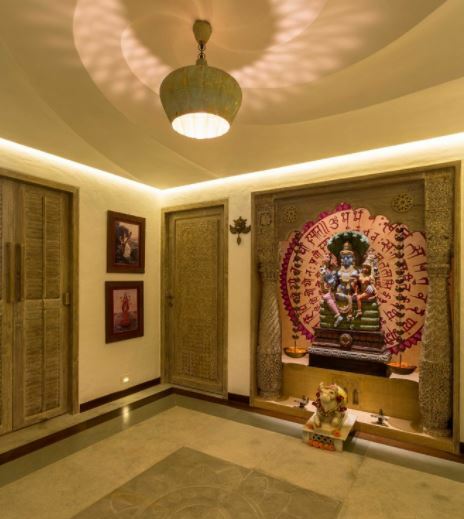 Take a look at these unique pooja room designs and get inspiration and ideas. Put up a nice colorful panel with the color of your choice on it. Use paint, glass and laminate to create the same. Decorate the edges with LED lights. Add a gate to separate your pooja room from the rest of the house. 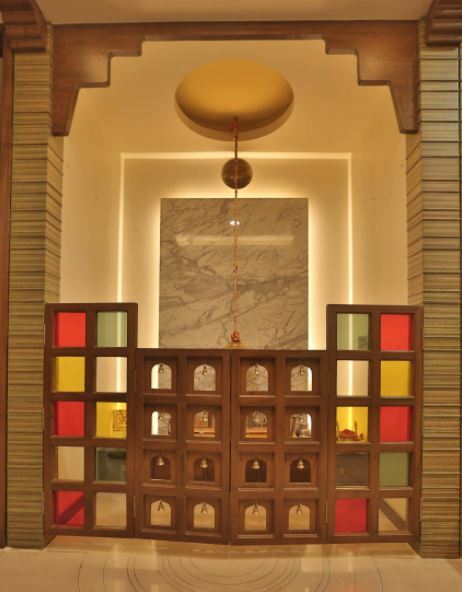 Add colorful glass and bells to the wooden pooja room gate. 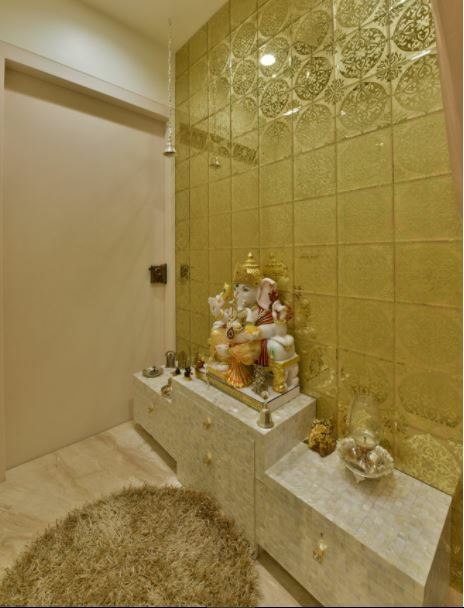 Gold can enhance the look of your beautiful pooja room designs. Do up the background using gold color tiles or wallpaper. Looks like Gautama Buddha is meditating and is enlightened. The panel behind the statue looks very interesting. I like the step pedestal on which the statue is kept. 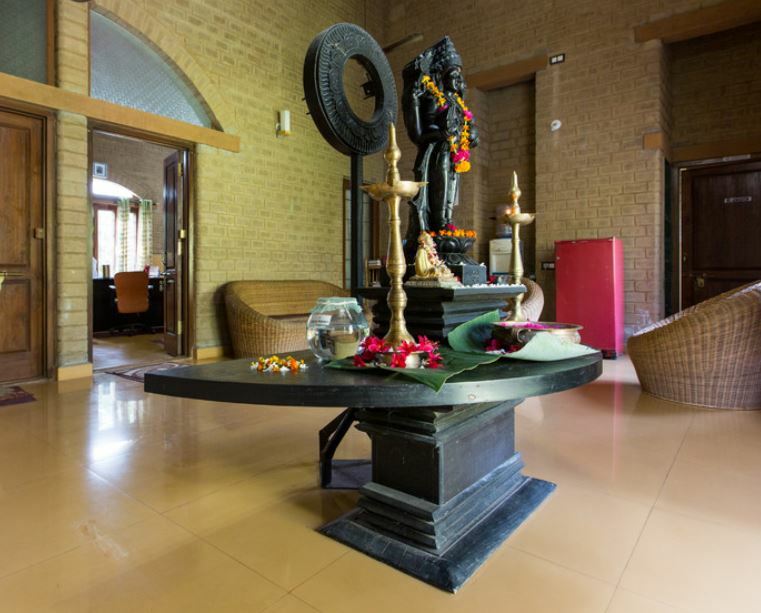 Here is a spacious pooja room with a big lord Shiva statue. 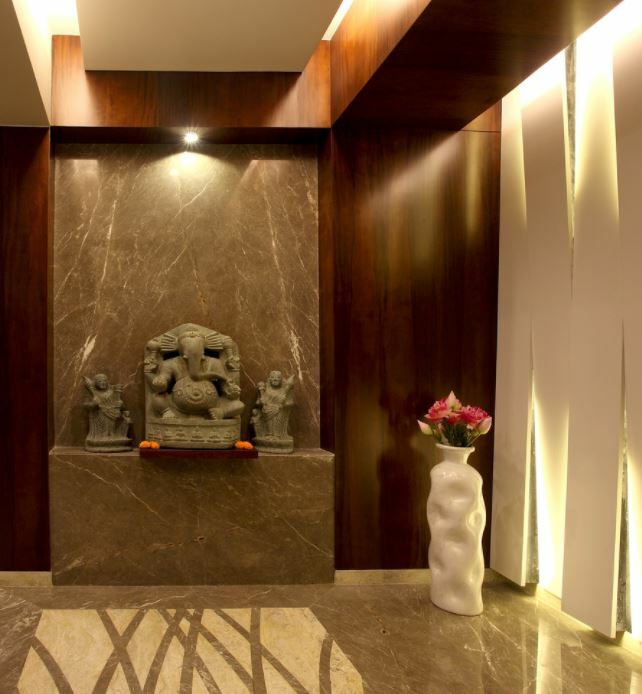 Gayatri mantra is written on the wall behind the statue which makes a great accent wall. You can enhance the beauty of your pooja room by adding a wooden panel with floral patterns on it. Add light behind the panel to create a magical look. Design your own pooja room. Go for white walls and floor to give it a squeaky clean interior. Add a gold patterned background panel to make it more interesting. This is how you create a powerful pooja space in the center of your house. Go for a black semi-circular pedestal with a black statue of your deity on it. 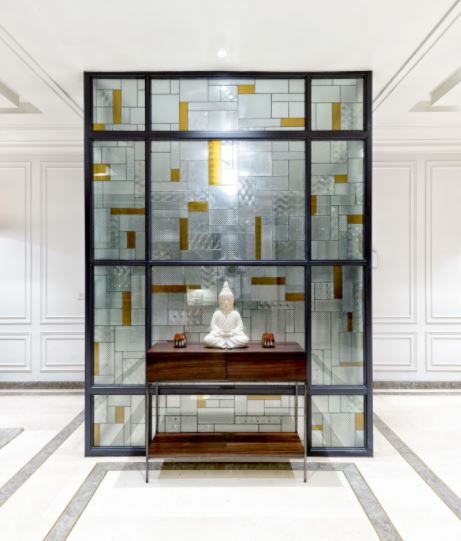 A stained glass panel works in more than one way. 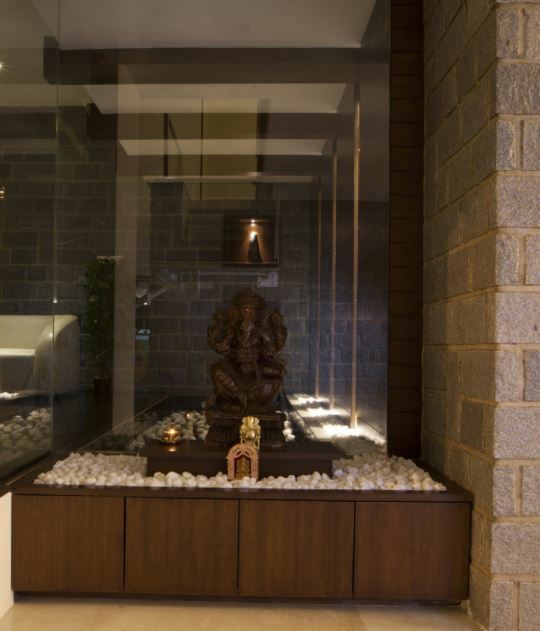 It creates a partition, adds beauty and separates the rest of the house from your pooja space. This is a pooja room at the entrance of the house. Use stone pedestal to keep the idol of your deity and add spot lighting on it. This creates a warm positive environment around. 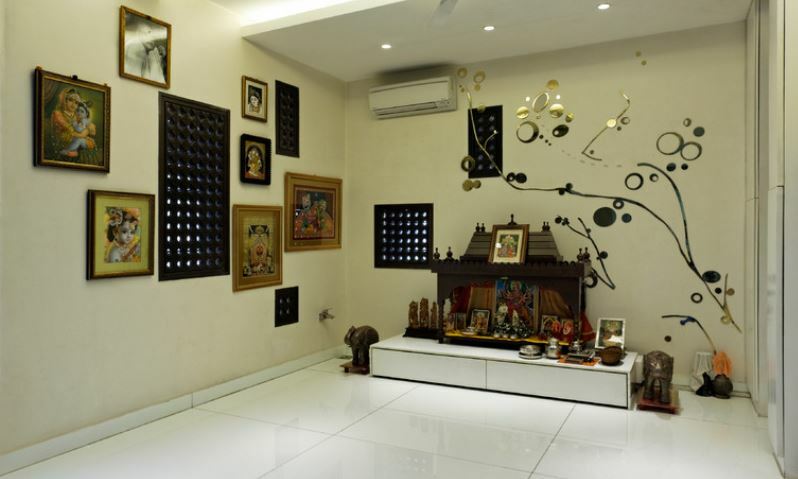 Decorate the wall behind the pooja mandir by using wall decals or by painting the design on it. Hang lots of photo on the wall to add more to it. Go for a glass enclosed pooja mandir. Place the statue of lord Ganapati on white stones. 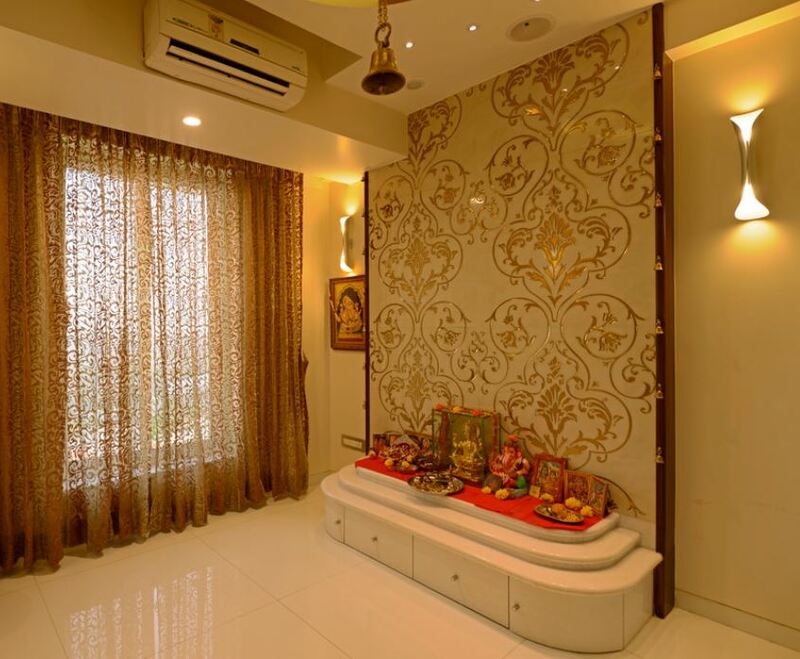 This entry was posted in Pooja Room, Pooja Room Designs and tagged Beautiful Pooja Room Designs, Design of Pooja Room within a House, Indian Pooja Room Designs, Indian Pooja Room Ideas, Interior Design for Pooja Room, Latest Pooja Room Designs, Modern Pooja Room Designs, Pooja Room, Pooja Room Design, Pooja Room Designs, Pooja Room Designs for Living Room, Pooja Room Ideas, Pooja Room Mandir, Pooja Room Mandir Designs, Small Pooja Room Designs by Homemakeover. Bookmark the permalink.